MELKSHAM, UK, 15 October, 2018 – British tyre manufacturer Avon Tyres is the official sponsor of the Freestyle class in the AMD World Championship of Custom Bike Building, with Russian customiser Zillers Garage taking this year’s coveted title. The 13th AMD World Championship event was held at ‘INTERMOT Customized’ as part of the INTERMOT show (3-7 October) in Cologne, Germany – with 98 bikes, 85 competitors and 30 countries competing from as far afield as the United States, Japan, Taiwan, South Korea, Indonesia and India. 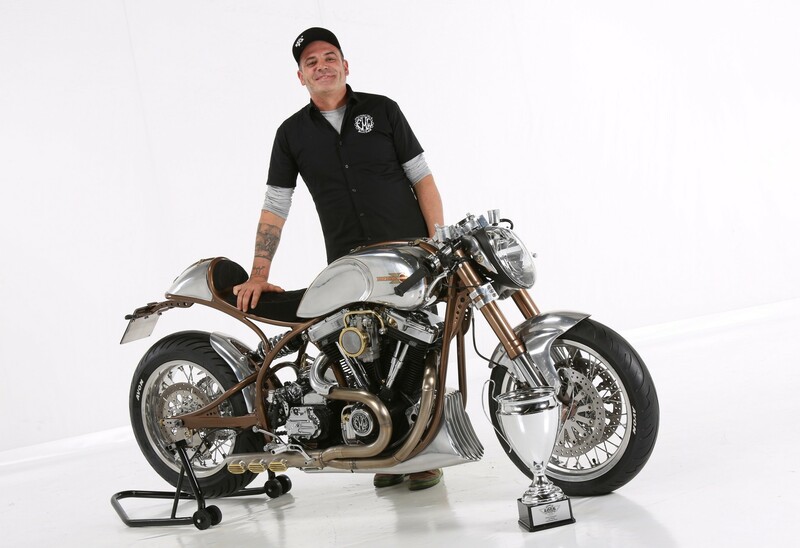 Zillers Garage won with ‘Insomnia,’ a Yamaha SR 400 based masterpiece, and rising star Dmitry Golubchikov was crowned the Avon World Champion of Custom Bike Building, becoming the first winner of the AMD World Championship from Eastern Europe. The Avon-sponsored Freestyle class at the AMD World Championship is internationally recognised as being the premier showcase for advanced custom motorcycle design and engineering. Flying the flag for Italy, the Cafe Racer class was won by FMW Motorcycles with ‘Hurakan,’ an S&S Superstock Avon-shod 1968 Shovelhead. At the 2018 INTERMOT show Avon Tyres also launched its new Cobra Chrome cruising tourer tyre range, with improved longevity and more fitment options than ever. The Cobra Chrome is available now and replaces the well-established Cobra range.